From the brand that is known for gear such as the Badlands Pro or the Adventure Rally, now comes technical gear for the street touring and commuting market. Just like Klim’s other offerings, they did not spare any technicality with the K Fifty 1 Jeans either. If you are looking for a denim pant that is protective and designed by an American company, look no further! The Klim K Fifty 1 Jeans are made from Cordura denim and feature Kevlar throughout the slide zones. Now that we have abrasion covered, lets look at impact protection. Of course Klim decided to go with D3O Evo Hip and adjustable Knee armor while also adding tailbone protection! 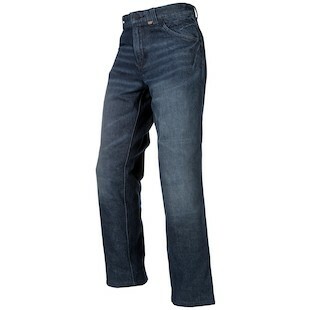 For comfort, Klim has added a mesh comfort liner and given these jeans the fit of the oh so popular Lucky Jeans. 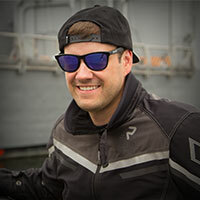 Klim is pushing their limits and breaking through other market segments with their new street touring and commuting gear! The Klim K Fifty 1 Jeans is going to be a great option for someone who does not want to wear their Badlands pants to work or when they are just going out for a bite to eat. They will also work great for someone who wants to keep a stealth protection look as well!